A few people have mentioned that they really like some of the vista shots we took of the smaller subway stations on the network. 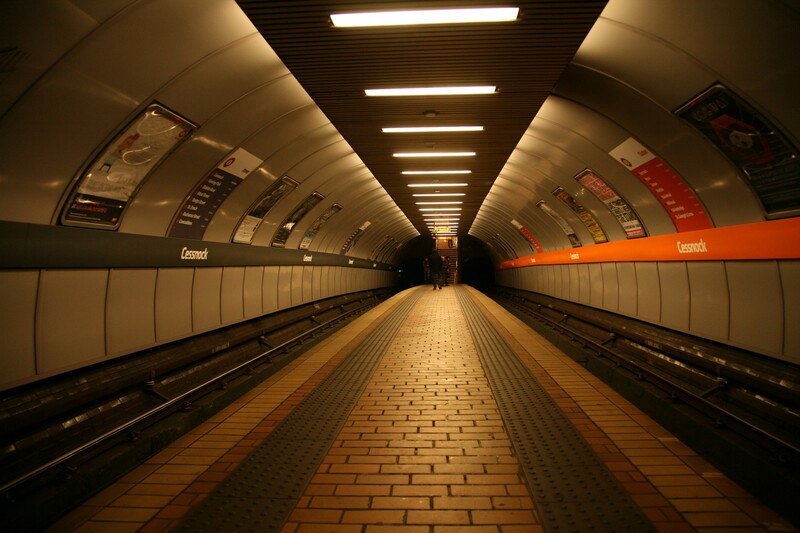 We at Glasgow Subway Stories would like to post our best selection here for posterity. You see, the SPT have announced that the ongoing station revamp work is beginning to replace the curved archlike stations colour schemes. You can read more about it at the SPT Modernisation website. The arches are definitely staying. 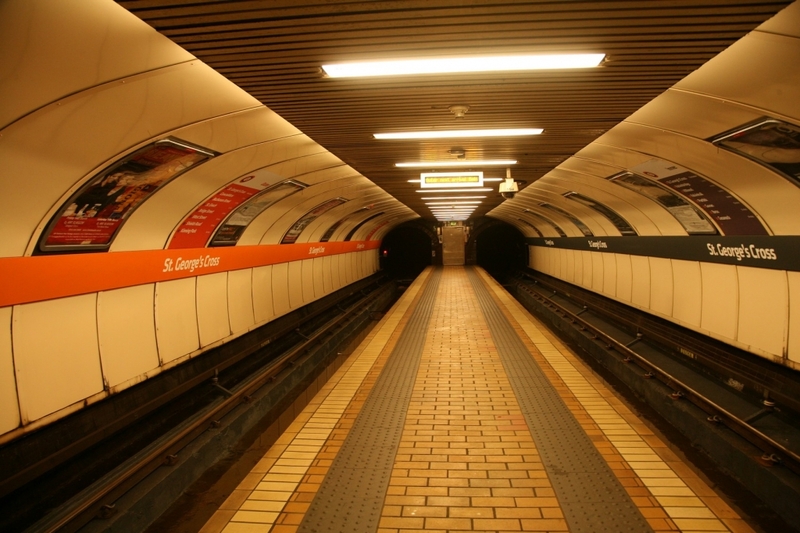 St Georges Cross subway station. Now I have to say that they have already done a stunning job on St Enoch and my last wait at Govan meant I could have a look around and it certainly looks like they are moving on with that one as well. Big job Govan. The bigger box like stations seem to have really benefited from the brightness. Just giving it a clean seems to have done wonders as well. It may soon be time for the curved station to get some love. Now its a really, really good thing that they spend some money on the subway. 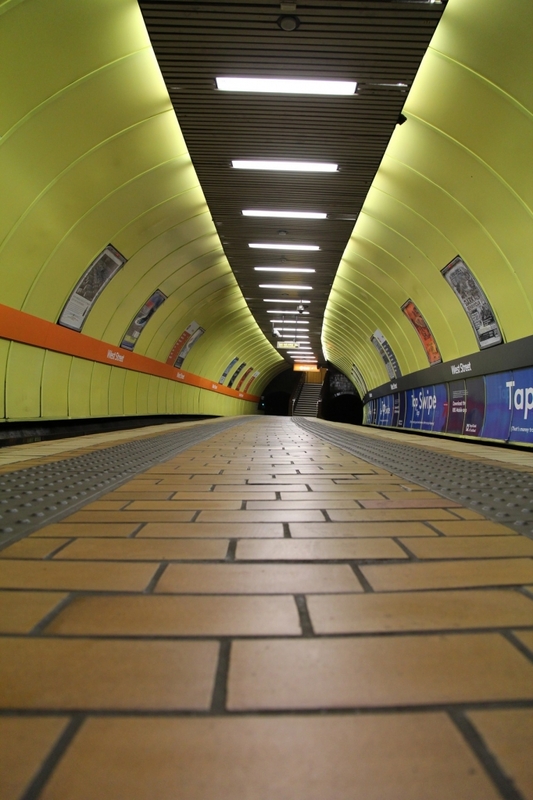 It is one of the best transport assets Glasgow has got. I have to say though that I have a bit of a soft spot for the gloomy curved stations and remember the days when it was that strange brown and orange colour that only ever seemed to exist in the 1970’s. Despite the more colourful modern version I think the archway stations seemed to retain some of this history. Sure it was always far more 21st century but I think it retained some of the old style. An orange tile here, a bit of polished chrome there. 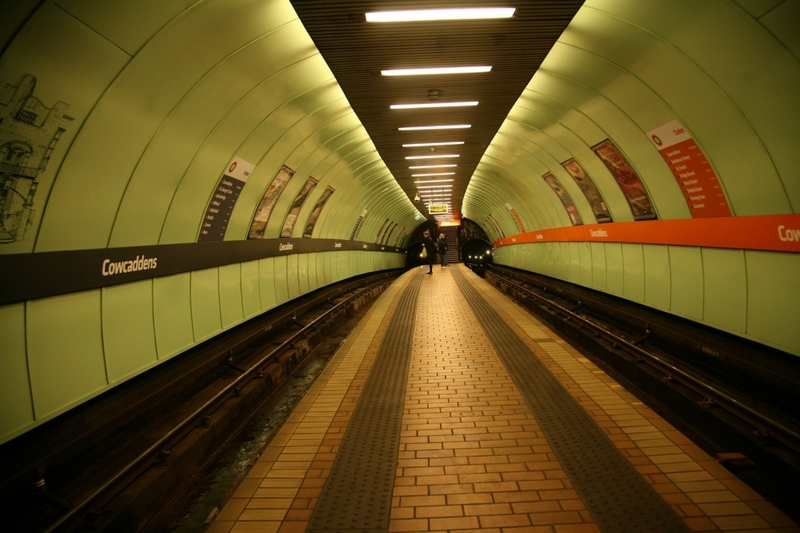 The colour and feel of the subway is very much in it’s heritage. I would hate to see the subway lose some of it’s uniqueness by becoming just another one of those hospital like facilities that exist in every other mass transit system in the world. It may be Hong Kong, it may be Dubai, it may be Hamburg. They all look the same. We have yet to see what wonders the architects can come up with to enthrall us on our morning commute. I certainly don’t want to be the old guy harping on about the good old days that never were so if they go for bright white then lets see how it looks. Kelvinhall has already been done so that’s your preview if you want to see how it is going to look. Lets just hope they have figured out a way to clean it. Doesn’t look quite so hot when there is muddy water pouring down it!